In a horizontal tanning bed, sessions should be limited to a maximum of 20 minutes. Because indoor tanning can refer to two different things, which are actual tanning in a tanning bed or sunless tanning through the use of a tanning lotion, gel, or spray, tips for each can vary. 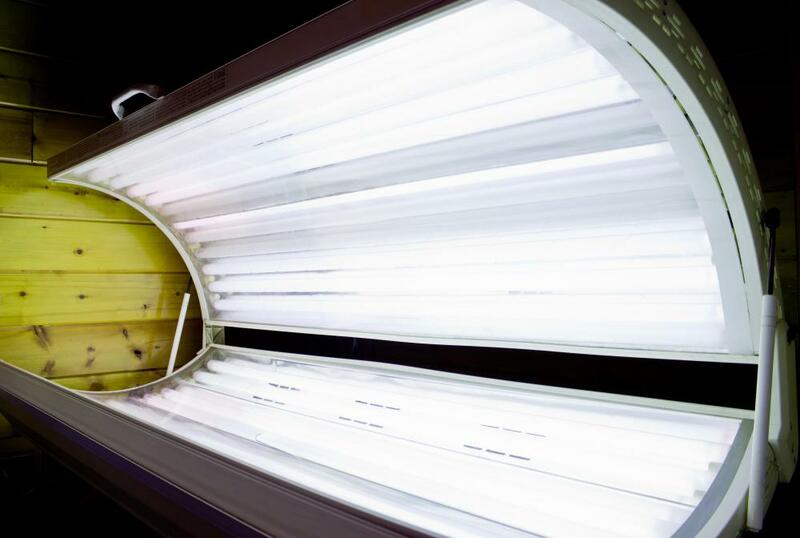 For tanning in a tanning bed, it is best to only do it as much as absolutely necessary, because there are many inherent risks to the skin from tanning. When using sunless tanning products, skin preparation through exfoliation is one of the best tips for indoor tanning. Tanning beds are no safer than laying out in the sun to tan, and have been shown in many cases to actually increase the risk of skin cancer, as well as skin damage such as wrinkles and sun spots. Spend the least amount of time possible in the tanning bed, and be sure to apply lotion that contains aloe after exiting in order to prevent wrinkles. It is generally best to explore other avenues of indoor tanning, such as sunless tanning, which does not cause any damage to the skin, and can give the skin a very natural looking, healthy glow. Sunless indoor tanning may be applied at home or at a sunless tanning salon in a spray booth. Spray booth tans are faster and easier, but are also typically a lot more expensive. They do not usually last much longer than an at-home tan, either. Before applying any sunless tanning products to the skin, it is best to exfoliate the whole body with an exfoliating scrub. Focus particular attention on the elbows and knees; skin tends to be dry there, which can attract more self-tanning product and lead to an orange appearance. Be sure the skin is clean and dry, and do not apply any lotions or other products to the skin before trying indoor tanning products. Apply the tanning lotion or spray in an even layer over the entire body, being certain to cover all areas. Be sure to wash the hands when finished, because orange palms can be a good indicator of a fake tan. Allow the tan to dry for a few moments before getting dressed, to prevent the tanning product from rubbing off on the clothes and potentially causing streaks on the skin. Another indoor tanning tip is to begin with a lighter product for the first fake tan. If it is not dark enough, more product can be added to darken it, but it is best to be cautious to start to avoid looking fake. Most sunless tans last for a few days to a week before they need to be touched up. How Do I Choose the Best Organic Spray Tan? What is the Connection Between Tanning and Vitamin D?